Our staff have years of experience in new home customer care management in the property sector. From the simplest courtesy visit to the most complex new home repairs, our dedicated team of property professionals will partner with you to raise your customer satisfaction scores whilst reducing your current aftercare costs. Our dedicated new home customer care team can co-ordinate and manage a property case from sale completion right through to the end of your warranty period. Using our in-house bespoke systems and communicating at every stage with all stakeholders, our team are here to deliver a first class after care service in partnership with house builders. Take a closer look at the services we offer to our house builder and registered provider clients. Our professional team can work as part of your existing supply chain or manage the end-to-end process for new home customer care, deploying your own subcontractors or our nationwide supply chain as applicable. Our integrated software with mobile apps provides consistent date and time recorded reporting as well as photo and video capture on-site. Our professional surveying services ensure detailed reports with priced and unpriced schedule of works reports . NHCC has many years of experience in the validation and building repair of new homes. Having worked with house builders and warranty providers such as National House Building Council, Premier Guarantee and LABC Warranty we understand policy wordings, requirements and interpretations to ensure that in the event of a claim being made we are best placed to establish liability and extent of cover. Where a building repair needs to be completed we know what is required to satisfy your obligations to the warranty provider whilst controlling your costs at all times and meeting your customers’ requirements. We handle all types of building repair and can work with your building repair teams or work on a fully outsourced basis on all areas of warranty cover. If you’re a home builder registered with the National House Building Council, we can help you to protect your Premium Rating and Premium Refund by providing quality repairs and satisfied customers. From managing tenders to providing clients with help and advice on building projects, we can help smooth the process and save you money and time. NHCC has proven capability in project management services including the review of proposed works and valuations, site meetings and site inspections and liaison between all parties involved. Here to help you and your customers. Through NHCC’s control centre we can offer services ranging from overflow support for your customer care calls through to a dedicated and branded helpline just for your customers. Please contact us to discuss your specific needs. We’re committed to supporting your business and your customers every step of the way. From technical support in using our bespoke customer care IT systems to advice on a complex repair case, we’re here to help. We can provide clear reports backed by collated evidence on the root causes of issues to help make the recovery or contra-charging process easy. We can also manage legal action through our specialist panel of solicitors. For specific high-value repair cases we have the expertise, experience and systems to save you £’000s in aftercare costs. Please contact us to learn more about how partnering with NHCC can help make your customer care pay for itself. 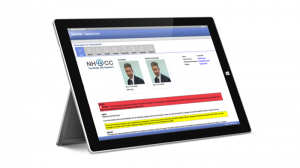 Our software and systems can deliver consistent, meaningful records backed up by photography and video evidence, available on demand to save you time and money. Our reporting can help you demonstrate to a home owner, a subcontractor or your own business what action has been taken and why, with evidence of repairs that have been effected and when. They also enable the smooth handing over of a customer care case if site management staff change.